Meticulously crafted from thirteen precious, estate grown blocks in the heart of the famed Stags Leap District comes Clos Du Val’s most distinguished PNV offering yet: 2013 Thirteen Leaps. Carefully blended from 7 of our best Cabernet clones, it bears the compelling characters distinctive of its provenance. This seductive Cabernet Sauvignon jumps from barrel to nose with exotic aromas of forest fruits and spice, complemented by flavors of mocha and black earth. The textures are silky and refined, with structure and depth enhanced by aging in 100% new French oak for 24 months. A modern testament to Clos Du Val’s enduring legacy in Napa Valley and to the AVA where it all began, Thirteen Leaps gently gift wraps Stags Leap District’s legendary iron fist and velvet glove in timeless form and boundless elegance worthy of this celebrated vintage. A wine worth taking a leap for. Kristy Melton, Winemaker. A self-described science geek armed with a BS in Biology and Animal Science from Angelo State University in San Angelo, Texas, Kristy Melton’s career as a research scientist at the prestigious National Institutes of Health was cut short when a family trip to Napa Valley inspired her to trade in her beakers for barrels in 2004. A year later, Melton was enrolled at the University of California at Davis where she earned her MS in Viticulture and Enology in 2007. She joined Clos Du Val as Assistant Winemaker in August of 2010 after having held several key enology and winemaking positions at high profile wineries including Saintsbury where, in addition to her research and analysis responsibilities, she contributed her winemaking talents to their famed Pinot Noir, Syrah, and Chardonnay programs. She has also held coveted intern positions at Sonoma’s Iron Horse Vineyards and Seresin Estate in Marlborough, New Zealand. 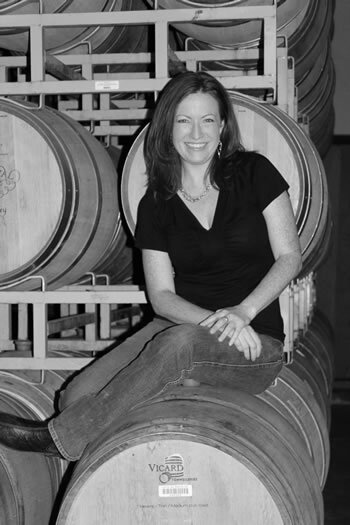 In January 2012, after demonstrating a unique competence for adding subtle nuance and approachability to Clos Du Val’s signature style, Kristy was promoted to Head Winemaker. Charged with the overall improvement of all Clos Du Val wines and with direct oversight over winery exclusive, small lot and luxury programs, Kristy’s passion for crafting modern wines of elegance have truly elevated Clos Du Val’s already exceptionally-regarded reputation. Exploring the intersection of science and art to create delicious wines of balance and elegance, beautifully reflective of the terroir and of the varietal.